Hailing itself as the first plant-to-human interface, a special collaboration between Microsoft researchers and artists is now touting what Microsoft calls a “speculative glimpse into our future” where the natural and digital worlds could communicate. 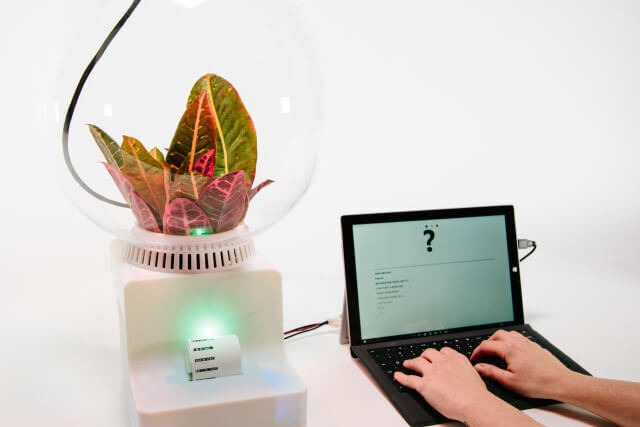 It is, according to a Microsoft video, “a preliminary exploration of symbiotic information processing between humans and plants.” In short, it’s a mind-boggling idea — and an artist/engineering combo at Microsoft has found a way to get people thinking about it. We already know plants react to their environment using a language made of chemicals and electrical impulses. Plants apparently have their own version of big data algorithms, continuously processing signals from their environment, both chemical and electrical, and using the gleaned information to change themselves (and neighboring plants) as well as the land around them. 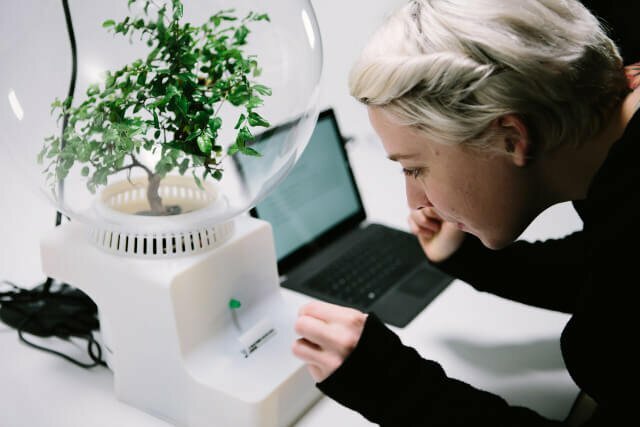 The web page describing the project discusses cell depolarization and ion fluxes and details a weird experiment called “Project Florence,” where the researchers used light frequencies to trigger responses from plants, which were picked up by electrodes that feed into a circuit board. In the video, a plant responds to a message — “good morning” — with the following response. So what actually happened? The user’s input was analyzed to determine both their content and their sentiment, which was converted into the signals that were ultimately transmitted using changes to the plant’s light source. And the resulting signals back from the plant — both chemical and electrical signals — are then captured, merged with the linguistic input, and synthesized into a kind of response. Okay, it’s not exactly what we’d think of as “talking to plants.” The web page describes the response as a “transformation” of the original message, a “lexical paraphrase” if you will. Microsoft’s web page is a little sparse, but there’s more information about the project on Fast Company‘s Co.Design site. It explains that “a very warm, kind sentiment might appear as long red blinks because red light causes a plant to flower.” And there’s apparently an algorithm that then maps the plant’s ultimate response using snippets of conversation from a third-party application: Twitter. “We wanted to create an idea around the Internet of Things … We wanted to generate another kind of future where we’re getting away from ‘your refrigerator talks to your watch! '” Microsoft researcher Asta Roseway told Fast Company. This project is one of the many wild things come out of a Microsoft Research program called Studio 99, a series of art projects created as a collaboration between Microsoft researchers and visiting artists. 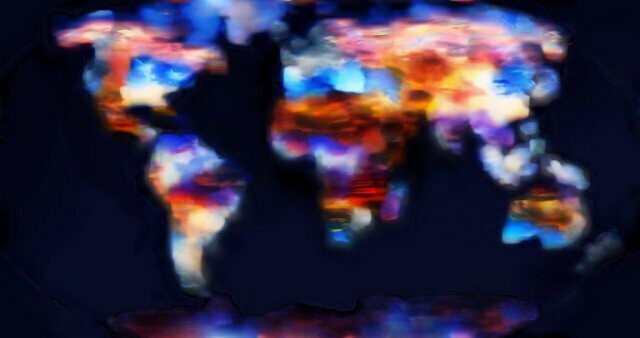 In December the initiative ran a machine learning algorithm over an unusual data set — online images of the sky — and then created a visualization of that data, offering a representation of a single global sky in the form of a visual “summary” (or an epitome) of all of the sky images. Another projected created a collection of knit clothing coated with a special silicon coating that quietly and slowly changes colors after the wearer drinks water. And then there’s Project Florence — this talking-to-plants project which Fast Company suggests could some day lead to applications in farming. And Microsoft has already begun expanding the scope of this research: This summer they’re using part of the Microsoft campus to install a hydroponics farm.